Three churches within the bounds of the Synod of the Trinity were awarded DREAM Grants worth $10,000 each in February. DREAM Grants, which stands for Developmental, Risky, Experimental, Adaptive Mission, are designed to encourage the birth of new ventures through congregations and presbyteries rather than to support the expansion of existing programs within congregations. DREAM Grants are the result of funds that have been given to support historic missions of the PC(USA), particularly among racial ethnic and rural populations. Three members of Upper Ohio Valley Presbytery’s Peacemaking Committee are, from left, Ruling Elder Peter Fox of Dallas Community Church in Dallas, WV; the Rev. Dr. Ruth Ellen Bates, UOVP honorably retired pastor and chair of the Peacemaking Committee; and the Rev. David Bruce, UOVP honorably retired pastor. 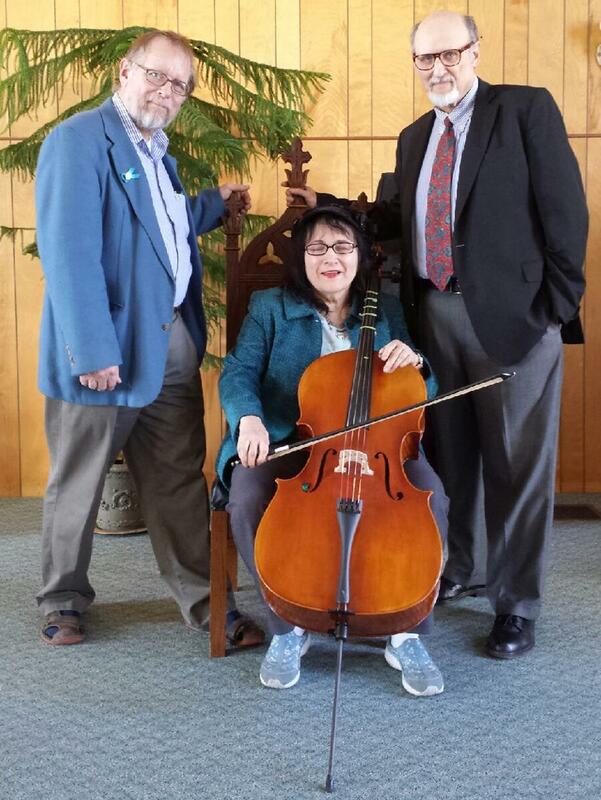 The brainchild of the Upper Ohio Valley Presbytery’s Peacemaking Committee, the Beaux-Arts Musicians & Storytellers for Peace project is designed as a two-pronged approach. One prong would connect with learning, making and composing music in behalf of Christ-like peace. Because the presbytery is located in Appalachia, the people not only have European traditions but also African and Latin American. The plan is to connect with music that comes from classical and folk traditions and also play contemporary songs from those traditions as well as their own. Composing music that would be inspired by those traditions is another option. The other prong of the focus is to learn and perform stories unique to Appalachia. How do these stories relate to peace here and worldwide? What can be learned about this from the diversity of religious and ethnic heritages? An idea is to perform stories old and new, and inspired by these, the program could create stories of its own. 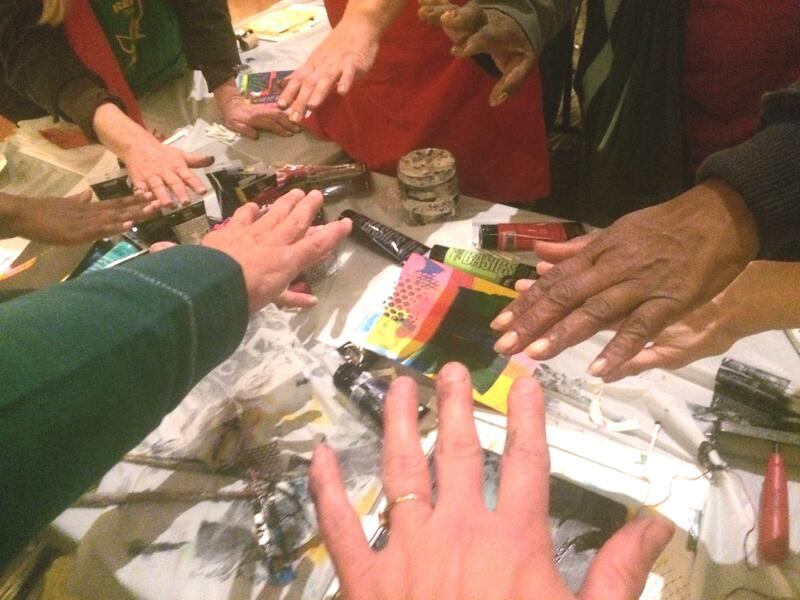 Some of the grant money will go toward creating a website for the Beaux-Arts group. There, ideas for stories and music can be shared. Performances in music and storytelling will be posted on YouTube and can be learned there as well. These performances could be shared with musicians and storytellers in other parts of the country and world. They, in turn, could share their music and stories with the Beaux-Arts group. Children enjoy playing with Legos at The Spot. 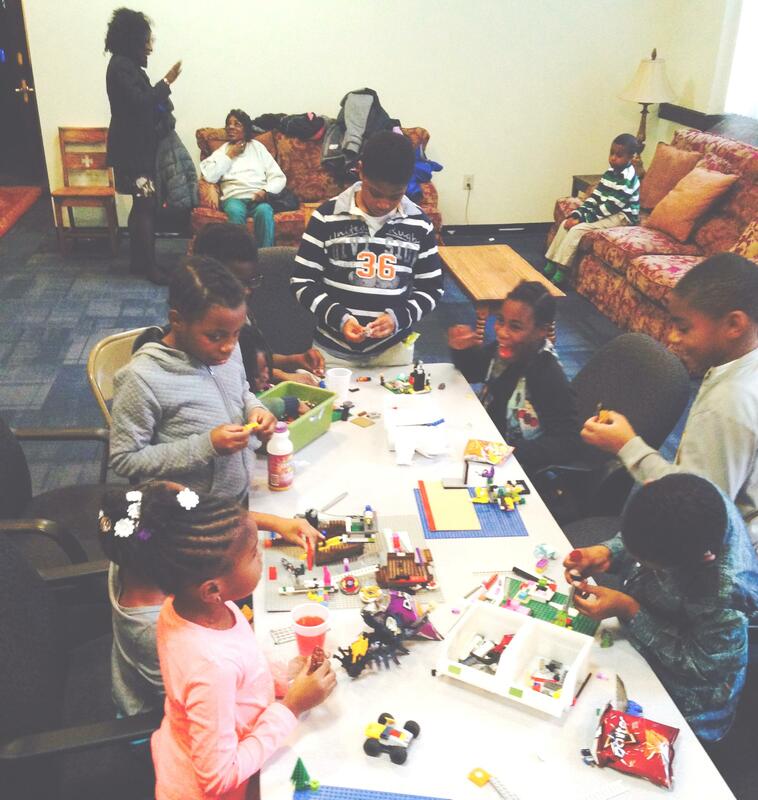 Wayne Presbyterian Church and The Common Place in the Presbytery of Philadelphia are receiving the DREAM Grant for “The Spot,” a youth group for children in grades K-8. 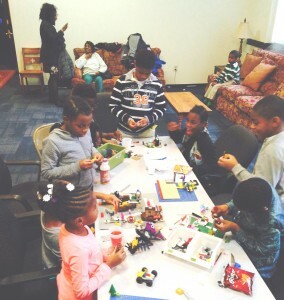 The Sunday afternoon program, which runs from October to June, is designed for neighborhood youth who do not attend The Common Place Scholars after-school program during the week. The grant money will go toward the salary of The Spot’s part-time Children’s Director. The Spot is located in “The Common Place,” which is a building that was once solely owned by New Spirit Community Presbyterian Church. Wayne PC bought the building and has transformed it into a faith-based arts and educational outreach and community center. The space still houses the New Spirit congregation as well as The Spot. It is also home to Cornerstone Christian Academy, which is a partner organization that is deeply invested in the vision for The Common Place. The Common Place is also the location of Turning Points for Children, a Philadelphia-based social service agency offering support and services to families in Southwest Philadelphia. The Well is a winter initiative/pilot program for up to 12 women currently experiencing homelessness in Center City, Philadelphia. The women have all been on the street for a while, and most are “shelter resistant” for a number of reasons. Though a couple of “cafes” exist (i.e. overnight drop-in centers), there are usually 75-80 men and women gathered in one room, where they are sitting on chairs all night. Because many of the women have experienced various traumas in their lives, this model can add to the trauma. Ardmore PC is trying a different model. Through a partnership with Ardmore Presbyterian Church and The Welcome Church, which is a Lutheran congregation in development, The Well (located in an Episcopal church in South Philadelphia) offers a place for the women to sleep on a cot with blankets and sheets that are only theirs. Each also has a foot locker (with lock) that can be filled with the person’s things, and she therefore does not have to carry all of her belongings around with her all day. The women come in at 7:30 p.m. and leave at 7:30 a.m. (only a 12-hour staff shift is offered). The women themselves have participated in creating the guidelines for The Well, an important piece of ownership. The Welcome Church is predominantly made up of people who have experienced homelessness and it envisioned the idea for The Well. The women of The Well are connected with The Welcome Church. The two pastors of The Welcome Church (Rev. Violet Little and Rev. Schaunel Steinnagel) see the women during the week and offer check-ins. The Welcome Church has contracted with another agency in Philadelphia for staffing, so if anyone wants to take other steps toward permanent housing, staff is there to assist. The Well is open until April 30. Each night a prepared meal is offered to the women. These meals consist of some kind of casserole, salad and dessert prepared by volunteers. Breakfast items and certain non-food items can also be donated, as well as financial gifts.